Gene’s Po-boys has been serving up sandwiches for fifty years from its iconic pink building at the corner of Elysian Fields and St. Claude Ave. But over Mardi Gras, it was announced that the building housing it would go on the market for $5 million, and that Gene’s would be closing. Beauty Plus, the beauty supply store across from Gene’s, is also leaving the neighborhood thanks to a tripling in rent. But the statement that they’re making is unique. 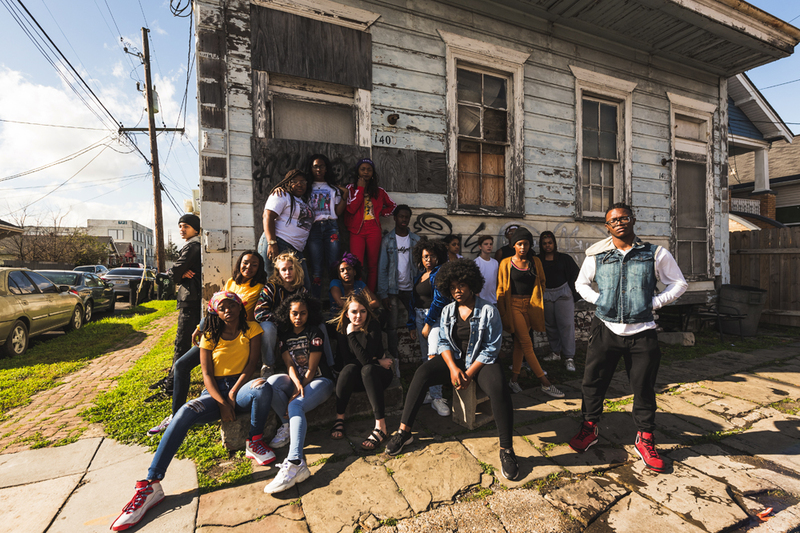 DG Uprising, the youth dance program of Dancing Grounds, will perform “Reunion,” a 75-minute, multi-disciplinary piece at the Art Klub (1941 Arts St.) on Saturday, March 30, at 3:00 PM and Sunday, March 31 at 3:00 PM. The decision to focus on gentrification was made by the dancers of DG Uprising themselves. “At first we had a few options,” says DG Uprising member Akelah Sabreen, 16, “but the one that really touched people and had us talking and thinking about what we wanted to do and what we wanted to say was gentrification. But how does one translate the issue of gentrification into dance movements? “We started out writing things, and we pick words, such as moving, and we take a certain movement that is kind of suggestive towards ‘up and out’,” explains Sabreen as an example. 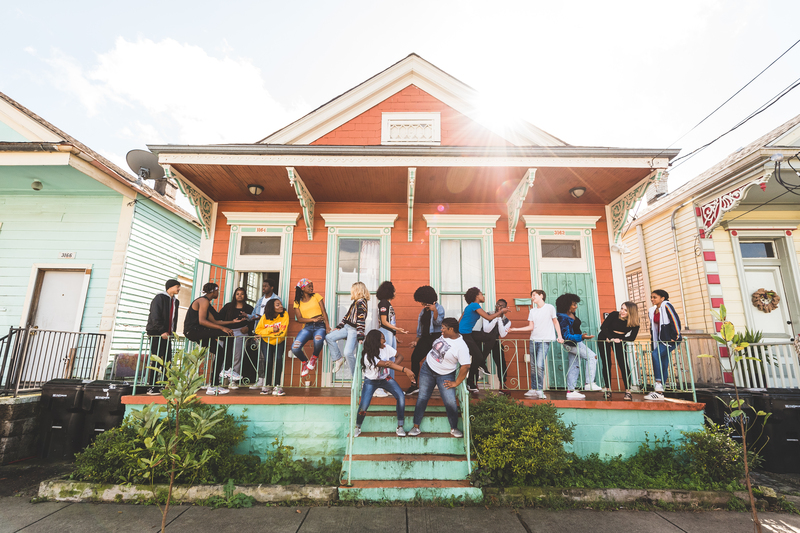 The third component of the Dance for Social Change Festival is something Dancing Grounds is calling “In the Kitchen” – a two-week class series starting March 18 at the Dancing Grounds studio on St. Claude featuring native New Orleanian choreographers as teachers, says Guyton. Singles events and panels of artists describing their work in relation to gentrification are also “Kitchen” offerings. For a full schedule for the entire Dance For Social Change Festival, visit www.dancingrounds.org.